Health in Portugal: Science and Technology Resources Database. Welcome to Portugal’s premier site for academic and scientific R&D projects. This site is managed by Health Cluster Portugal (HCP), a private non-profit association supported by members from business, academia, hospitals and local authorities. 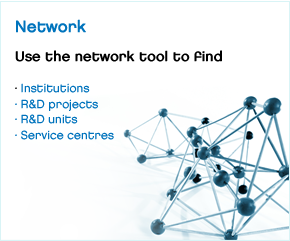 You can use this site to search for R&D projects, for R&D institutions and for technical services offered in Portugal, by keyword and scientific area. Use it to identify potential partners for research projects or to locate technical services offered on a cost or commercial basis in Portugal. To enter information into this site, click here for guidelines. The mission and purpose of Pfizer's Investigator-Initiated Research (IIR) Program and Compound Transfer Program (CTP) is to provide support for investigator-initiated research. Button "Follow us on SciPort"
If your Institution, R&D Project or Service Centre is properly registered on SciPort (and if you are its authorized Main User, R&D User or Tech User) you may use the button "Follow us on SciPort” to provide or designate a link to its respective page (on SciPort) or to SciPort’s homepage. Download the button "Follow us on SciPort" here. Searching for R&D partners, specialised services, networking & partnering opportunities, or education & training opportunities? Find out how TRIS-HCP can help you. Have you missed SciPort Live @Lisboa, on the 2nd October 2014? Check out the flash presentations of the TRIS-HCP members here. A guide of organisations operating in the Portuguese health value chain, including universities, R&D institutions, hospitals and companies in the areas of pharmaceuticals, biotechnology, medical devices, ICT and services.